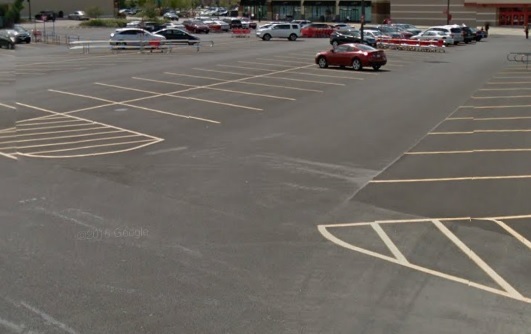 It is essential for businesses in Illinois to have a smooth, safe, and attractive parking lot, and this is why business owners contact the Normal asphalt contractor experts at Perdue Pavement Solutions for all their parking lot patching, sealcoating, and asphalt repair. We are a family-owned, and operated, business with nearly two decades of experience and dedication in this city. We provide a wide range of asphalt services to meet the needs of our customers. Give us a call today! At Purdue Pavement Solutions, we stand behind our principles, which include integrity, honesty, and quality. Our customers receive the highest level of asphalt services available with us. Normal is the seventh most populous town in Illinois with a population of 52,497. The town was first known as North Bloomington, which was named by Joseph Parkinson in 1854. The town was renamed to its current name in 1865, and the name was taken from the Illinois State Normal University. The town was incorporated in 1867 and is a great town to live or visit. The Children’s Discovery Museum is a fantastic place for the entire family. The museum has many exhibits that are geared for children. It also has innovation stations, power play, and learning programs. This is a hands-on museum that children will enjoy. The Sharks Farm is another exciting place in the city for the family. There are rescued sharks along with other marine life that can be seen here. This location is an exciting and fun place with plenty to see. The Corn Crib is a baseball arena where baseball fans can watch the top baseball leagues play. The Normal Theater is the oldest theater in the town as it is 75 years old. Visitors can watch independent and documentary films along with classic movies at this theater. If you are searching for the classic Chicago wieners, then you will want to stop by the Windy City Wieners where they serve up the best Chicago style wieners and food in the city, and Merry Ann’s Diner is the famous diner in the city that serves traditional American cuisine, and this diner is open twenty-four hours and seven days a week, so you can curb your hunger at any time. Strolling downtown will give you the opportunity to shop at locally owned shops and boutiques. You will surely find something special and unique downtown. Perdue Pavement Solutions is the parking lot maintenance specialist that business owners contact for all their parking lot needs and concerns. Give us a call today and let us transform your parking lot! Not too long ago we got a call from a new client who had their parking lot installed about two years ago, and they could see some severe alligator cracking happening to the lot. We assured them that we could seal the cracks and then do sealcoating in Normal at their location. This would prevent further damages to the parking lot. 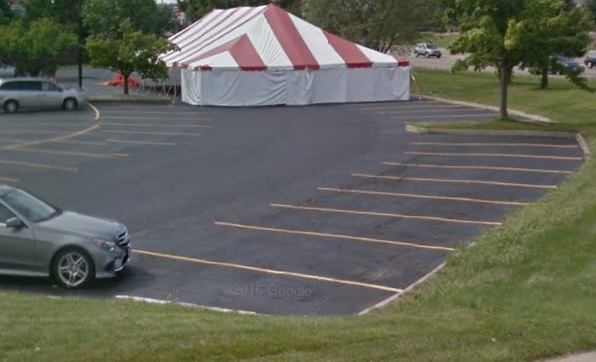 We asked the client when would be a good time for us to come out and inspect the parking lot, and they said as soon as we could they would appreciate it, so we told them that we could be there later that day. Our experts arrived at the business and they began looking over the parking lot and inspecting it thoroughly. The client was right to be concerned about the parking lot because there were several areas in the lot that had severe alligator cracking. If this was left unattended, it would be a major problem that would become a more costly issue down the road. We discussed the process that would take place. The client was very grateful to have us involved and became more confident with our service as we went through the whole process from the estimate to finishing the lot via sealcoating. The crew arrived first thing Monday morning to start the crack sealing. The crew cleaned the parking lot to ensure that all debris, dirt, and chemicals were off of the surface. The crew then started to fill all the cracks on the lot. The crew then started the sealcoating application process. The sealcoating should be heated to a temperature between 380 and 410 degrees, and once it rose to the appropriate temperature the crew started applying the mixture. Within just a few hours the alligator cracks were filled and the sealcoating was applied. The crew began cleaning up the worksite, as we make it a point to make sure that the job site looks better after we are done working than when we arrived. As the crew was packing up to head to the next job, the client came out and shook each crewmember’s hand and thanked them all for doing a great job on his parking lot. He said the parking lot had never looked so good, even when it was first installed just two years prior. The crew let the client know that we provide annual parking lot maintenance and this would keep his parking lot in great shape as we would come out to do any maintenance to the parking lot, and to make sure it was always in good working condition. The client was so impressed he said he would call the office and set the annual parking lot maintenance up.